Avalon Waterways have launched a number of worldwide river and ocean itineraries that include the Mississippi, the Nile and the Galapagos following the success of their European river cruise programme. The American Queen, an authentic American paddlewheel steamboat will be offering a twelve day "Mississippi in the Fall" voyage that will include a stay in Chicago prior to embarking aboard the steamboat in St Louis and visiting destinations including Dubuque, Hannibal and Red Wing. Alternatively, the thirteen day "Music City to the Big Easy" voyage will feature two nights in Nashville and one night in Memphis before setting sail to destinations including Baton Rouge and New Orleans. Avalon Waterways will feature the five star MS Mayfair sailing along the River Nile on three different itineraries ranging from nine and thirteen days between now and December, including a twelve day "Pyramids, Lake Nasser and Nile Highlights" voyage, which features a four night Lake Nasser cruise in addition to a cruise on the Nile. 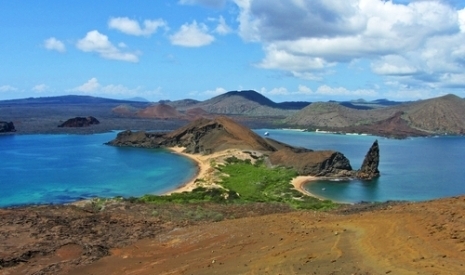 In order to meet the demand for cruising in the Galapagos Islands, Avalon Waterways have also introduced two new itineraries, which are the 11 day "Ecuador and the Galapagos" itinerary which features three nights in Quito, a two night stay on the Baltra Island and four nights cruising the Galapagos National Park. The 16 days "Discover the Galapagos and Peru" option includes visits to Lima, Machu Picchu and Quito. These new worldwide cruises will allow guests who have experienced the high levels of service and facilities of an Avalon cruise in Europe to now travel further and experience the culture, history and wonders of the Mississippi, the Nile and the Galapagos islands with an award winning river cruise line.